Thanks Mandy! I really appreciate it. I am going to see what my DWT rep can negotiate and if needed I'll PM you for your TA information Thanks again!!! 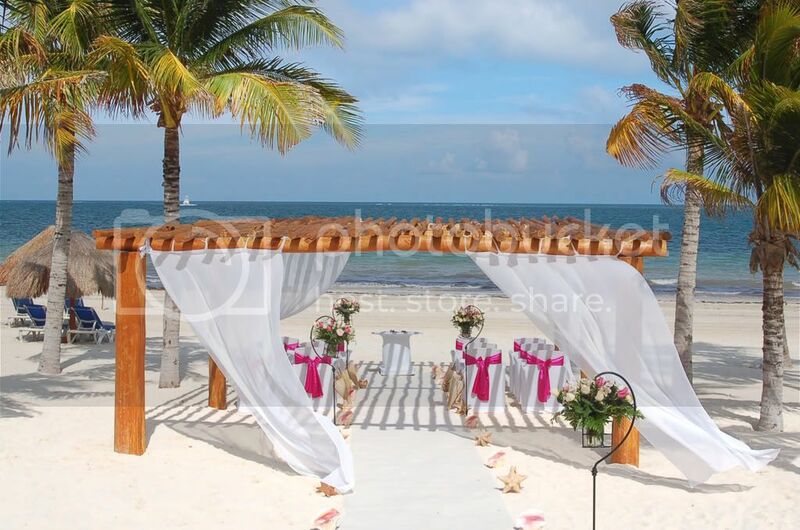 Hello Excellence Riviera Maya brides! Congrats on your upcoming weddings! 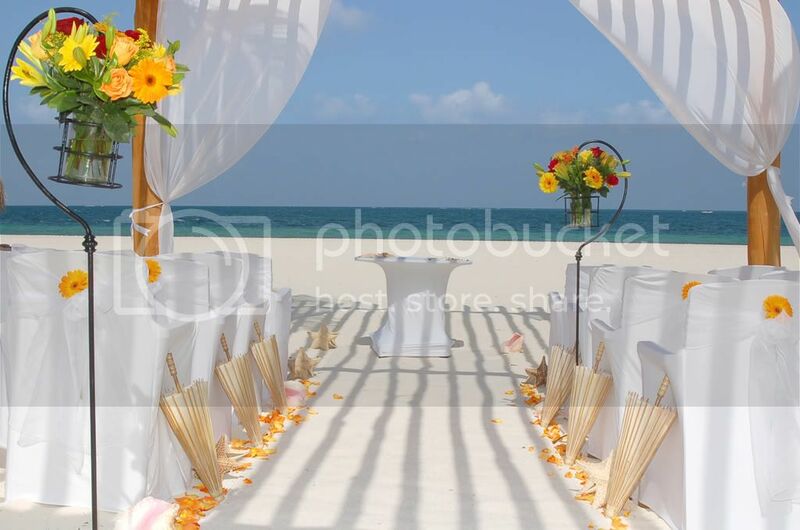 This post is for any brides interested in affordable decor for your big day. 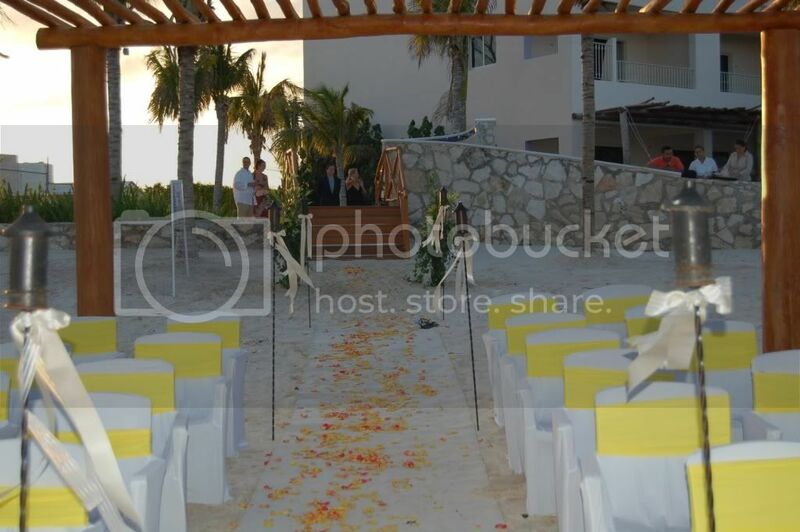 I'm a newlywed from Vancouver, Canada that lives down here in Playa Del Carmen, Mexico. I have quite a few decor items leftover from our wedding in May, mostly in a rustic vintage style. 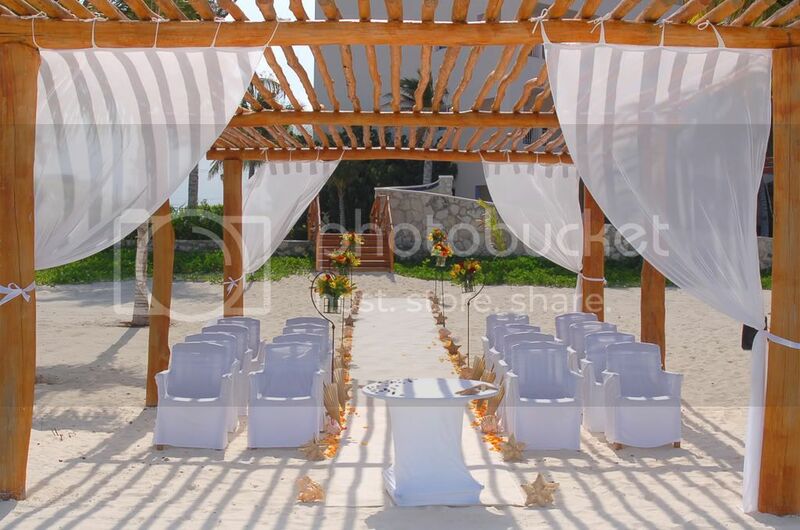 I've decided to rent things out to brides that don't want to lug things like vases & mason jars down here to Mexico, and have priced things quite fairly compared to the resorts' prices. I have a lots of different types of bottles, mason jars, vases and lanterns, as well as a variety of other items like wooden signs & frames, table runners, rustic birdcages, string lighting and even a portable sound system. 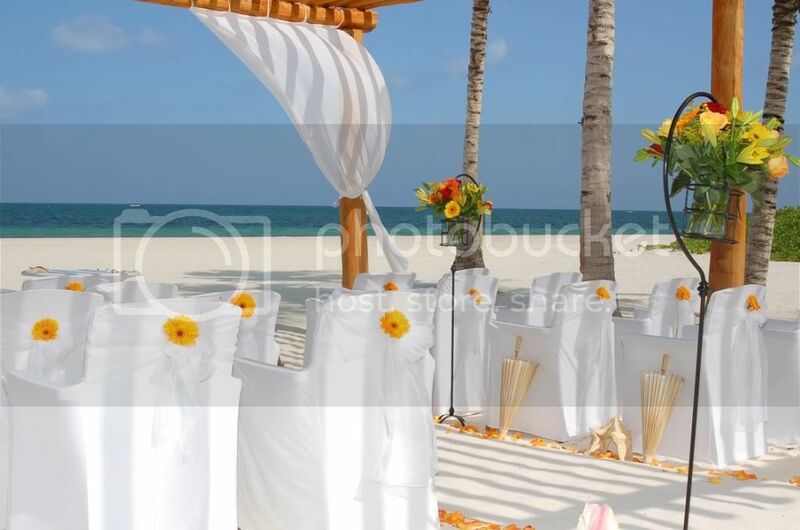 If you want a Style Me Pretty or Ruffled type of wedding in Mexico without a huge price tag, I'm your gal! So far no one has had to pay an outside vendor fee at all, as they tell their WC that they have brought the decor themselves. I'm also always interested in buying items that brides bring down and would like to sell after their weddings, please send me photos of anything you'd like to sell! If you'd like to see some photos and a price list, please send me a PM with your email address and I'll send you all the info. Also if anyone has any questions about the area, ask away! I've lived in Playa Del Carmen for two years and know the whole coast quite well. Happy planning ladies! It's a pleasure to write for you on this topic, I want to share those unforgettable moments with you. please take a look at the wedding of Ashley and Eric that took place at Excellence, was magical and wonderful. oh my god this is BEAUTIFUL!!!!!!!!!!!!!!!! !